APEX INNOVATORS: Just as apex predators sit at the top of their ecosystem's food chain, Apex Innovators are companies that have climbed to the top of their market—and are staying on top—through relentless innovation. Instead of being blindsided, disrupted, and toppled by more innovative competitors and newcomers, Apex Innovators are the ones doing the blindsiding, disrupting, and toppling. I teach companies how to become The Apex Innovators in their own industry. THE RIGHT IT: To be an Apex Innovator it's not enough to have innovative ideas and to execute them competently, those ideas must succeed in the market. Unfortunately, most innovations fail in the market. They fail because they are The Wrong It—ideas the market does not care about, regardless of how well they are designed, built, and marketed. By contrast, The Right It is an idea for a new product which, if competently executed, will succeed in the market. I teach companies how to avoid The Wrong It and find The Right It. PRETOTYPING: Developed at Google, perfected at Stanford, and practiced with consistently great results by hundreds of organizations, pretotyping is a set of tools, techniques, and tactics to help you make sure that you are building The Right It before you build It right with unprecedented speed, efficiency, and accuracy. I teach companies how to master pretotyping. 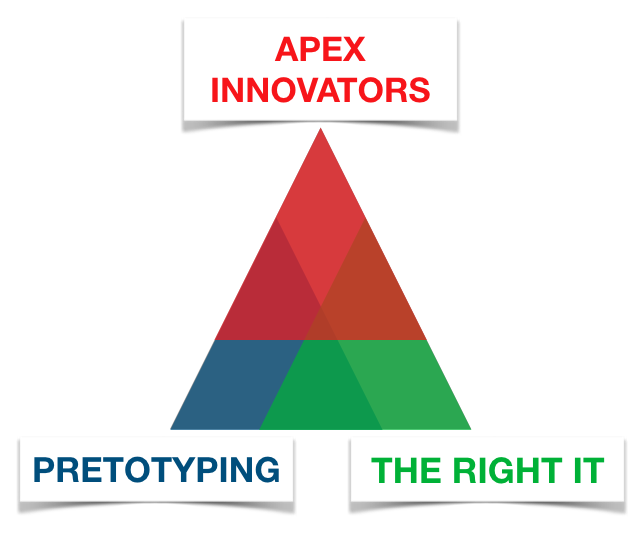 - Today, to stay on top of your market you need to be an Apex Innovator. - To be an Apex Innovator, you must regularly launch new products and features. But that is not enough: those new products and features must succeed in the market—they must be The Right It. - Pretotyping is the most effective, efficient, and reliable way to test if your new product ideas are The Right It. In addition to project-specific coaching, I share my work with organizations who want to become Apex Innovators via talks and workshops. before you build It right."